March is about to happen in a few days. Mark your calendars for my upcoming events. I am participating in a NYC art exhibit on March 11 and having a book talk and signing on March 14 in DC. Please see the dates below. Hope you can join me! 4. 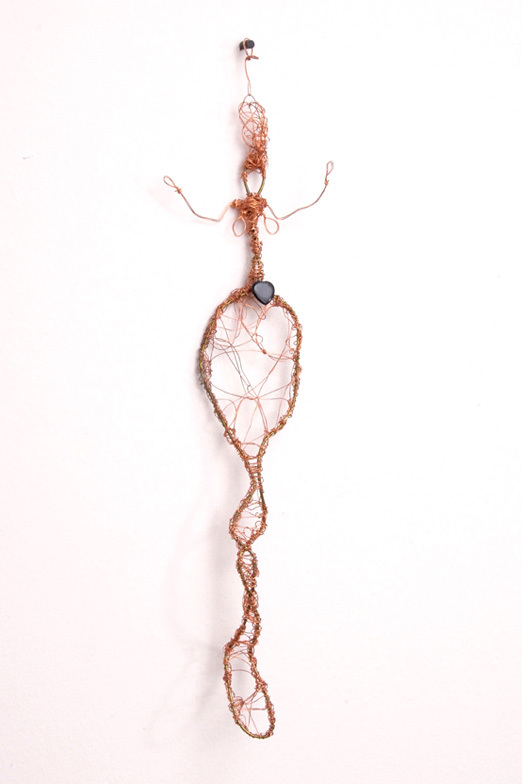 Come see Ananda’s wire sculpture “Erzulie’s Black Heart” at the Caribbean Cultural Center African Diaspora Institute’s exhibition “Wearing Spirit: Aesthetically Personifying the Feminine in African Sacred Traditions” from March 11 to May 24 in New York City. The opening reception will be held on March 11 from 6:00 p.m. to 9:00 p.m. Visit www.cccadi.org. 5. Attend an author talk and book signing for Ananda’s new book That Which Awakens Me: A Creative Woman’s Poetic Memoir of Self-Discovery on March 14 from 2:30 p.m. to 4:00 p.m. at the Historical Society of Washington, DC, 801 K Street, NW at Mount Vernon Square metro. She will also discuss her debut novel Love’s Troubadours – Karma: Book One. Visit www.historydc.org. 7. Take a deep breath and experience Ananda’s free kind and gentle yoga Meetup on March 28 from 11:30 a.m. to 12 noon at Malcolm X-Meridian Hill Park in DC. The class will be dedicated to National Women’s History Month, National Women and Girls HIV/AID Day, and National Nutrition Month. http://yoga.meetup.com/584. Today, I read Linda Villarosa’s article “When Depression Strikes the Black Superwoman” on TheRoot.com. 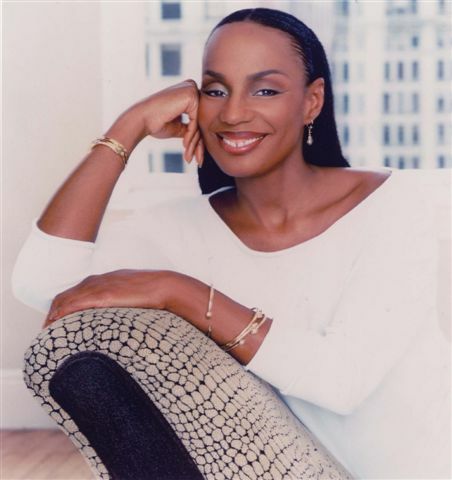 It features Susan L. Taylor, former editor-in-chief of Essence (www.essence.com) and founder and CEO of the National Cares Mentoring Movement. Even as our collective accomplishments have bubbled to the surface, the pain is often simmering just below it. Certainly many of us have found happiness and joy in our lives, whether singled or partnered, mothers or not, with or without that high-status, six-figure career. But too many others are lonely, sad or angry—and too proud or too afraid to talk about it. Here are several key comments Taylor made in the article. These four comments really hit home with me. They made me think of my own journey and the journey of my main character Karma Francois in my debut novel Love’s Troubadours – Karma: Book One (available on Amazon.com – http://tinyurl.com/yfxtqyq). Karma is a thirtysomething Oakland-born BoHo B.A.P. (Bohemian Black American Princess) with Louisiana roots and urban debutante flair. Love’s Troubadours begins with Karma’s life in an uproar. Her relationships and the museum curator career that she struggled to form in New York City have crumbled, leaving no viable options to rebuild. Relocating to Washington, DC, Karma struggles with denial, depression, and debt. A lack of full-time employment opportunities forces her to craft a gypsy existence as a Jill of Many Trades: yoga teacher, art consultant, and freelance curator at Howard University Gallery of Art. Unable and unwilling to appreciate these jobs as gifts, she wallows in a pool of lost identity-and doesn’t see a way to keep from drowning. When she looks in the mirror, Karma sees a woman whose choices have dishonored her true character. Now, for the first time in her life, Karma must learn to see herself for who she really is. What do you think about Black women and depression? My sistalove friend Dehejia Maat is a multitalented woman. She shares her gifts as an actress, artist, poet, singer, yoga teacher, mother, and spirit woman. 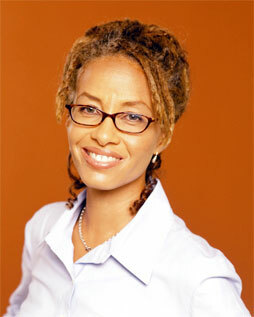 She recently published Deep Rooted Soul Sista Poems. Her book is available on Amazon.com: http://bit.ly/aNbzkt. Guess what? 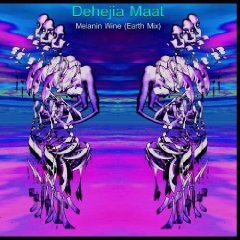 Dehejia also released a fantastic CD entitled Melanin Wine (Earth Mix) which is available on Amazon.com: http://bit.ly/couuRI. Dehejia currently serves as the theater director for the Dragon Box Theater in D.C. She established the No Goddess Left Behind writers workshop. Her current projects include The Joy of Billie Holiday (an original one woman show) and The Yes That Leads to Infinity (her second book of poetry). Click here to learn more about Dehejia and her creativity: www.dehejiamaat.com. Follow her on Twitter: http://twitter.com/dehejiamaat. You can also join her Facebook page: http://www.facebook.com/dehejia.maat. Check out her YouTube Channel: http://www.youtube.com/user/dehejiamaat. Here are some of my favorite YouTube videos featuring Dehejia. Enjoy! Open your heart with my kg yoga life practices show on MomTV today! Open your heart this week by taking my kg yoga life practices class on MomTV. This morning I pre-recorded today’s show. The theme is opening your heart with love (prema in Sanskrit) and compassion (karuna in Sanskrit). Click here to watch the show (approximately 24 minutes): http://stickam.com/m0mtv78. Be sure to join me on March 17 at 8:00 p.m. for the next kg yoga life practices class on MomTV: http://stickam.com/m0mtv78. May you have a fabulous day opening your heart to the love and compassion inside of yourself! Dwell in it all day long. Tomorrow pass it on to someone else! Great news! 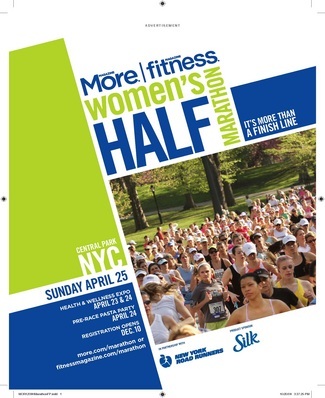 I returned to my training for More Magazine’s half-marathon on April 25 in New York City: www.more.com/2029/10135-more-fitness-women-s-half-marathon-2010. Listen to my audio blog on Cinchcast below and discover the lessons I learned during my morning run. Let me know what you think. What lessons are you learning today? PS: I decided to do the run/walk half-marathon. Here’s the plan: http://www.more.com/2029/2874-half-marathon-walk-run–week-3. 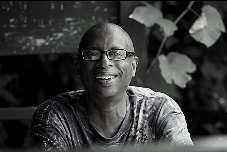 To learn more about E-bert, visit his web site – www.eethelbertmiller.com and blog – http://eethelbertmiller1.blogspot.com. FYI – Yesterday, Ethelbert sent me a Twitter message about his February 11th interview on NPR’s Speaking of Faith. The show’s theme is “Black and Universal.” It is rich and juicy! I think the interview will give you an opportunity to really learn about Ethelbert is as a person and how he thinks. Click here to listen to the interview: http://speakingoffaith.publicradio.org/programs/2010/black-and-universal. Writing Workshop held at Busboys and Poets on May 3, 2009.
take my poetry to the next level. Every couple of weeks, she reiterated her recommendation. Circle and read some of Ethelbert’s poetry. featured on one of WPFW’s radio shows. It teased me to the point of curiosity. So I took the plunge and called Ethelbert. genuine kindness in his voice. My ears heard the welcoming tone of a long lost friend. My first visit with Ethelbert happened on a sunny day. I think it was springtime in 1994. His desk was filled with paper and books. I think we might have even had some tea. Our conversation was just that … a conversation. receive a copy of my lavender chap book of poetry. We hugged and agreed to meet again. Ethelbert left me a message on my answering machine. It was the kind you wanted to keep forever. I quickly called him back and scheduled an appointment. This meeting was different from the last one. looked, or whether we had tea. All I can remember is he talked and I barely listened. They stung me and left an open wound. its virginity before it is was ready. They were a dangerous combination. One day I found the courage to read Ethelbert’s feedback. to find my own voice. I was at work early one morning. from trees in Dupont Circle Park. D.C. traffic was moving at its normal pace. It kept me company as I logged onto my computer. It was a message from emiller698@aol.com. By this time, Ethelbert had become E-bert in my world. anthology he was editing for Black Classic Press. Maybe he made a mistake. Turns out it was no mistake. E-bert wanted an original poem by moi. 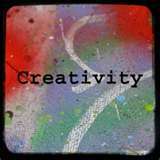 My creative heart was no longer naïve. with no expectation of publication. I called him to make sure he was really serious. It took me a few years to figure it out. It was a gift my creative heart needed to receive. And one only E-bert could give. Give yourself the gift of love by taking 15 minutes to watch my yoga class video that explores the power of opening your heart. It includes kind and gentle yoga poses that you can do while sitting in a chair or in your bed. Click here to watch the video: http://stickam.com/anandaleeke. FYI – My yoga class honors women’s heart health month (celebrated in February) and the people of Haiti. If you learned something from the class, please consider making a donation to Doctors Without Borders to support their work in Haiti: www.doctorswithoutborders.org. I am teaching two more online yoga classes on February 19 and 26 at 7:00 a.m. EST: http://stickam.com/anandaleeke. I hope you can join me for the classes. Check out the video of my creativity coaching session (15 minutes) that aired on Ananda Leeke Live! UStream.tv on February 11: http://www.ustream.tv/recorded/4654453. It discusses how to use six-word memoirs to discover who you are in the present moment and creative process. During the show, I give an overview of six-word memoirs. For more information about six-word memoirs and Smith Magazine (folks who created the six-word memoir movement), visit www.smithmag.net/sixwords. Writing exercises from my new book That Which Awakens Me: A Creative Woman’s Poetic Memoir of Self-Discovery (available on Amazon.com – http://tiny.cc/7uFsg) are included. So get your pen and paper ready! Let me know if they helped you. FYI – I am hosting another creativity coaching session on what creativity looks like in your life on February 25 at 9:00 p.m. EST on Ananda Leeke Live! : http://www.ustream.tv/channel/ananda-leeke-live. I hope you can join me for the live class. If you miss it, don’t fret. You can watch a video recording of it. Happy Friday! Happy Early Valentine’s Day! Happy Love Day Every Day! I thought you might like to read a poem about love from my new book That Which Awakens Me: A Creative Woman’s Poetic Memoir of Self-Discovery (available on Amazon.com – http://tiny.cc/7uFsg). See below. I have also included a video of me reading the poem. Let me know what you think of the poem. Copyright 2009 by Madelyn C. Leeke. And the word was a seed called a thought rooted in Spirit. And the word that we were given from Spirit was choice. other, and the world around us. emotional, physical, silent, verbal, and written expression. Our thoughts and words have lives of their own. They tell our life stories out loud. They stamp the universe with our vibratory signature. beat of beautiful music or noisy disturbance. physical violence in the universe. of each moment to look and feel like?